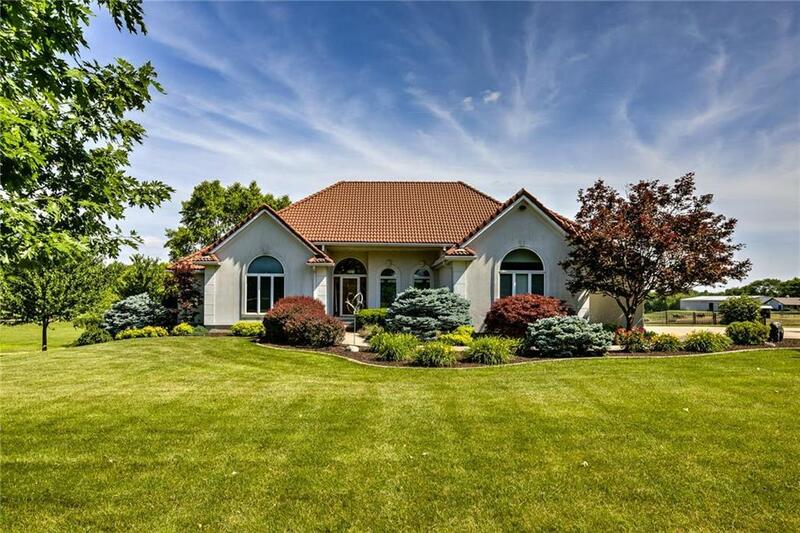 This AMAZING home is on acreage located in Timber Meadows. Reverse 1.5 boasts 5 BR, 4.2 BA w/open floor plan. Huge windows allow you to overlook the open space & soak in the daylight. Upscale appliances throughout kitchen, 3 BR & laundry on main level. Possible Mother-in-law quarters in lower lever includes family room, kitchenette, separate laundry & safe room & add'l bedroom. Zoned HVAC, security system w HD video surv, & Nest thermostats. Huge outbuilding w/finished office on 2nd level perfect for a home office.